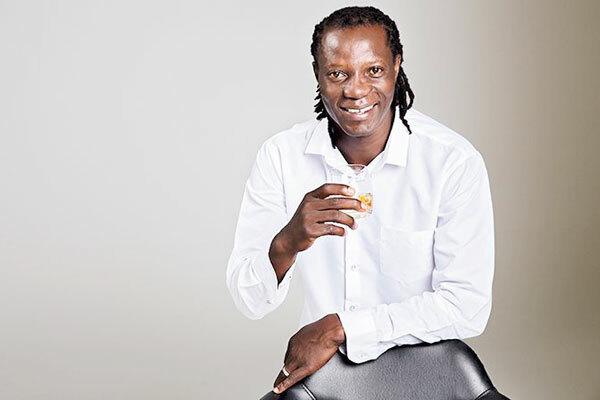 CYPRUS-based former Zimbabwe Warriors player, Musa Mguni is seeking to instigate legal action against fellow Zimbabwean soccer legend Benjani Mwaruwari, whom he claims to have been involved in a property wrangle with in South Africa. The rather cold spat between the two, Mguni claims, reportedly dates back to 2010 and has resulted in the demise of their friendship. Mguni, in an interview claimed that he had engaged a law firm in South Africa to pursue the matter, where he hopes Mwaruwari would soon be served with court summons. Mguni said he had decided take legal action against Mwaruwari because he was fed up with his excuses and lack of interest thereof in paying what he owed. He was not specific on the amount owed to him. "Kule legend lenu la ela ngivala iproperty yami in Jozi (There is a legend that duped me of property in South Africa) and I lost half of what I paid for, so I want people to know the other side of him. I am not doing this out of spite or revenge but when it takes you almost 10 years to get something that you have paid for patience eventually runs dry. Enough is enough, the guy has no heart at all. I have instructed legal action against him. It's a slow process and as it stands I need to gather ZAR10 000 to pay the court," said Mguni. He alleged that he entered into an agreement with Mwaruwari in a deal that also involved a company that sells property stands in South Africa. He says he paid more than R500 000 for the land. "About eight years ago I bought property from him and once I made a bank transfer he disappeared. There was a company at the centre of the whole spat, which I was involved in a legal battle with, as I thought it was the one that had hoodwinked me, only to discover that the guy was the one at fault. It's a shame that's how we treat each other instead of empowering one another. This guy made me suffer over my hard-earned money for more than eight years," said Mguni. Sunday News is in possession of some messages Mguni sent to Mwaruwari, confronting him over the issue sometime last year. "I have already opened a case against you with SA police and opening a legal case against you. You have played me too much and you think I'll be begging you to pay me my money after all this time. I'm the one running behind you as if you are an important person. I have totally had enough of your stories so angisakhulumi okunengi sohlangana khonangale (I will not say much we shall meet in court). I can't wait until 5 December (2018) because I won't listen to another story. Sorry mate," read the message. However, Mwaruwari claimed that he did not owe Mguni anything and was merely a victim of his own good deed in trying to assist a fellow Bulawayo boy. "I introduced him to a company that deals in property stands in South Africa. He bought two stands for development at that moment. However, issues arose after he deposited or transferred money into the company's account without informing them what the money was for. The company, after a while when he confronted them by way of legal proceedings reimbursed him about R90 000. I was assisting him with all that and through my kindness I offered to give him R12 000 so that he could at least get R100 000. "He wanted the money at his own time and I reminded him that I would give him and it was not a debt. Now if he is going around claiming that I owe him money then surely there is a problem and he should be honest about the whole issue. We last met in 2014 and the period he claims is a lie. In actual fact I facilitated that the company, Water Force, reimburse him. I am now just being caught up in the cross fire. Had I known it was going to get to this the first time when he sued the company, I would have just left it at that," said Mwaruwari.